Corriere della Sera, the prestigious Italian newspaper, has just published a two-page story about visualization. They asked several people —me among them— to choose the most relevant or influential designers nowadays. Most of them are pretty well known, as you can see. Corriere has given me permission to make the story available, so here it is (PDF). 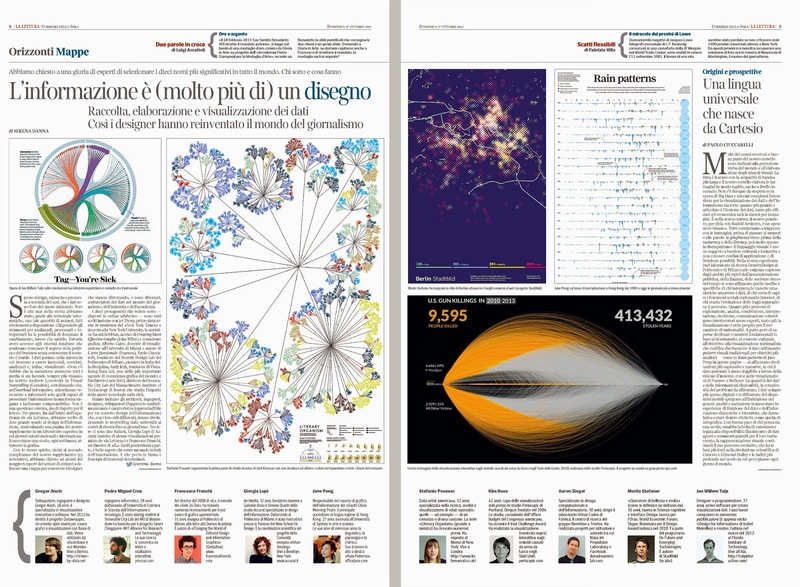 It appeared in its culture supplement, La Lettura, which regularly showcases creative visualizations of data by Accurat, Density Design, and other groups and individuals.